It is not often that I get excited about beauty products. But this? This. is. it. I discovered the & Other Stories beauty products during the opening of their store in Ghent a couple of months ago. Normally I skip their beauty counters and head straight for the shoes, but this time my fellow bloggers made me stop and smell all the jars. 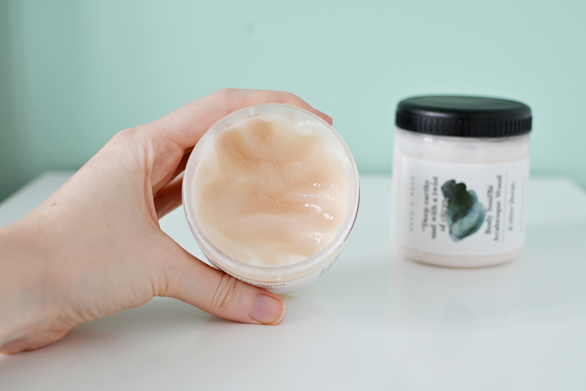 With winter behind us and summer approaching, my skin could really use a good, nourishing treatment at the time and the body scrubs and body soufflés from & Other Stories sounded like they would do a good job. The only reason I did not buy any that day was the fact that I simply couldn’t chose between the different scents. I stopped by the & Other Stories in Antwerp a short while later and with the help of the (very friendly!) 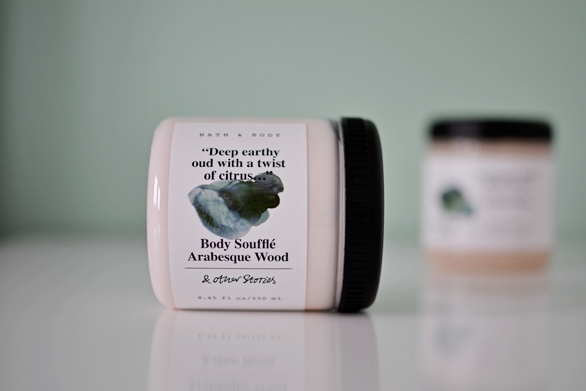 staff, I eventually picked out Arabesque Wood, a scent that is just me. 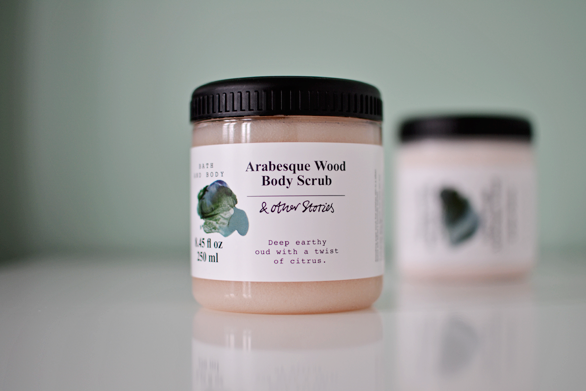 The scrub is very gentle on the skin and does its job fantastically. My skin feels silky soft and smooth after use and even the boyfriend notices a difference, so that means something! The scrub isn’t too hard on my skin either, which is something I look for because on some spots my skin gets irritated easily. The scrub sort of melts into your skin while you rub and after a while becomes a little creamy, which causes my skin not to feel dry after using it. The scrub leaves a gentle scent. I love this stuff so much. Even though my skin doesn’t necessarily feel dry after scrubbing, I do like to use the body soufflé afterwards. 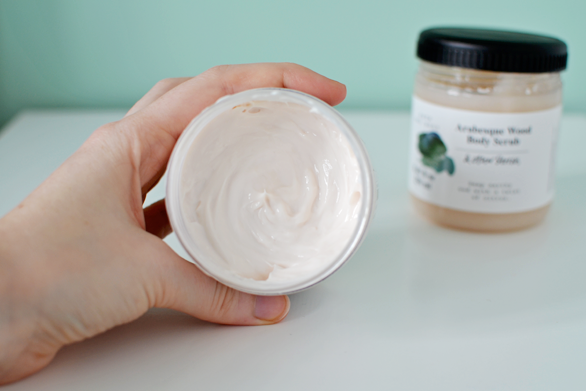 I naturally have really dry skin, so the rich texture really helps nourish the dry spots and it also simply makes me smell nice. My neck and chest area, however, are too sensitive for this heavenly rich cream. As most of you know I am very sensitive to make-up and other products, so I use my day cream from the pharmacy to hydrate my neck and chest area. I’ve found that after using the body soufflé on those areas I get more break-outs than regularly. And we don’t want that, do we? Lastly I wanted to note that the sent of the Arabesque Wood line combines perfectly with my favorite fall perfume: Jo Malone’s Wood Sage & Sea Salt. The scent of the body care is so gentle that it can be masked by the perfume, yet be subtly noticed. 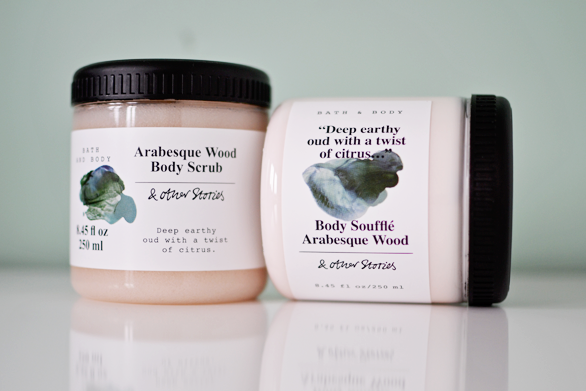 I would indeed say that the Arabesque Wood scent is more of a fall-like scent so if you’re still looking for bath & body care for the fall: stop by & Other stories and maybe give these a try! 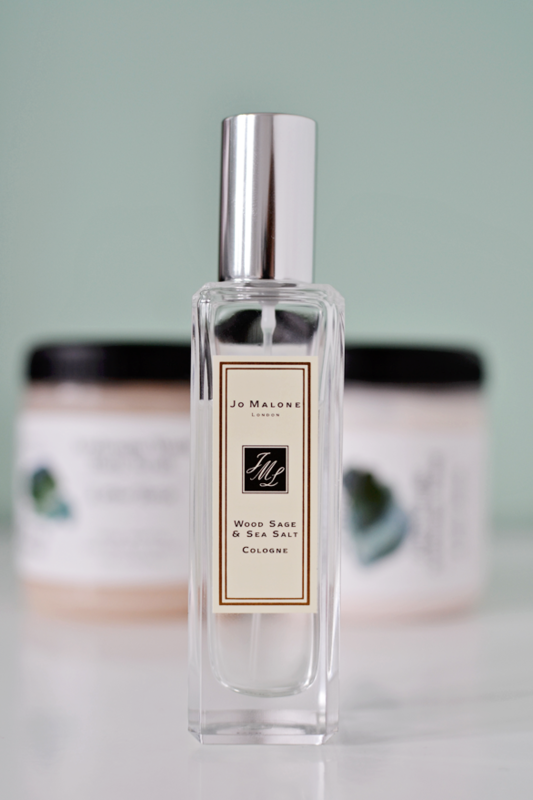 I have been using them in the summer as well, but since Jo Malone’s Peonies & Blush Suede is my summer perfume, I tried to only use the body products on days where I didn’t need to leave the house. 10/10 if you ask me! Die soufflé van & Other Stories is zoo goed!! De scrub klinkt super, deze ga ik volgende keer zeker eens proberen! I’ve been hearing such good things about & Other Stories lately and really want to try it!